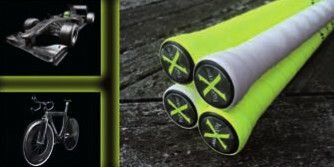 TeXtreme - As the pioneer brand in floorball Unihoc has always been aim-ing to bring the development of the sport, as well as the equip-ment, to new levels. The partnership with TeXtreme® is a major step in the constant search for bringing the most innovative products into the sport. It is a great privilege for Unihoc to collaborate with such a renowned supplier that matches the high demands for carbon fibre materials that are required to take the development of low weight sticks to a new groundbreaking level. 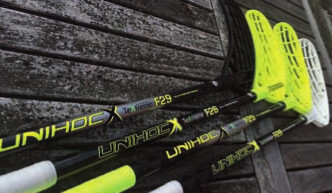 Unihoc proudlu presents an innovative range of sticks that are extremely light, but still offer the very best performance qualities on the market.